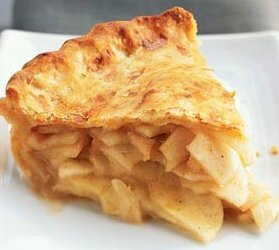 How to make apple pie. Here’s a semi-homemade apple pie recipe. Combine the cinnamon and sugar, give it a good stir. Add the apples to the mixture. Stir it up. Arrange the base pie crust. Spoon the apples into the pie crust. Top the apples with slivers of butter. Place the top pie dough and mold the edges. Slit the top crust with a knife.